We have recently appointed David Curry in the role of Design Draftsman and Engineering Project Support to build our capabilities within our engineering department. With over 17 years’ experience, most recently as Design Draftsman at a leading pumps company, David’s considerable skillset and global experience will be an asset to the business. David will be supporting the engineering team, utilising CAD software to design, draw and model components for all aspects of the business. His expertise in using Autodesk Inventor will enhance CAD design capabilities across the company, enabling us to produce technical drawings in 2D and 3D. David joins us as we continue to expand our pump services offering, having recently grown the team and introduced a dedicated pump load testing facility. 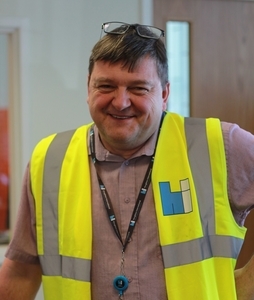 Dave will be working closely with the pumps services team to support the repair, maintenance and life extension services offered. Michael Mitten, CEO of Houghton International, added: As we continue to expand and diversify our service offering, the recruitment of a design draftsman is an excellent boost for our engineering department.